Blog Book Tour | “The Sky Throne” by Chris Ledbetter A new approach to the back-story of #Zeus with a #GuestPost by the author explaining the ‘Sky Throne’. Acquired Book By: I have been aware of the publisher Month9Books for quite a few years now, as I used to host their Reveals & other special tours – even interviewing a lovely batch of their authors as books released I felt I would appreciate reading. However, in truth – I have only read two releases by them (as of yet) and this one marked an interest as it is a gateway into Greek Mythology. I received a complimentary copy of “The Sky Throne” direct from the author Chris Ledbetter in exchange for an honest review. I did not receive compensation for my opinions or thoughts shared herein. How did you conceive of the ‘the Sky Throne’ and how did you best want to endeavour to describe the power of the Gods previously only generally known through Myth and Legends? How did you want your story to stand separate and together from the legacy of what has already been written? Since I primarily write for the young adult audience, I ultimately wanted to tell an “origin” story that re-imagined the deities of ancient Hellas as teenagers. From that genesis point, I had to decide which myth to begin with. One of the most well known myths is that of Kronos eating his children to prevent a prophecy from coming true. This is a huge cornerstone of the Hellenic gods’ creation myth as told in Hesiod’s Theogony. From there, I had to choose which deity I’d focus on as the main character. Even though the number of myths containing each deity varies widely, from a source material perspective, I love each of the Olympians. But I’ve always been drawn to Zeus strictly from the lightning and thunder aspect of things. And because he’s the king of the Gods. I realize the myths paint him as a bit of a sordid character… and I’m not excusing his colorful behavior in the myths, but I sought to create a more sympathetic version, while still remaining generally true to his essence. He is indeed one of the most dynamic figures in myths. After I’d conceived the story concept, I tried to describe their otherworldly powers and abilities as if they were super heroes and heroines. In many ways, the Gods of pantheons past were our first super heroes and villains. In the marketplace, there was a plethora of young adult titles in which the main character was a half blood, demigod child of an ancient god. I wanted to go to the source and tell the story of the deities themselves. That’s what separates The Sky Throne from its peers. Notation on Cover Art: I personally love the image of Zeus which is not only gracing the cover but it is inclusive to every ‘chapter’ page within the novel! There is simply something quite striking about this representation of Zeus and it stays with you as you read the story! TODAY “Must Read” recommendation. His second novel, Inked, concludes that duology. The Sky Throne is his newest young adult novel. The second book in the series is set to release in 2018. He's a proud member of SCBWI (Society of Children's Book Writers and Illustrators) and a strong supporter of the Need for Diverse Books. He now writes and lives in Wilmington, NC with his family, including three cats. #PubDay Book Review | “Congress of Secrets” by Stephanie Burgis by the author who wrote “Masks and Shadows”! Acquired Book By: I am a reviewer for Prometheus Books and their imprints starting in  as I contacted them through their Edelweiss catalogues and Twitter. I appreciated the diversity of titles across genre and literary explorations – especially focusing on Historical Fiction, Mystery, Science Fiction and Scientific Topics in Non-Fiction. I received a complimentary copy of “Congress of Secrets” direct from the publisher PYR (an imprint of Prometheus Books) in exchange for an honest review. I did not receive compensation for my opinions or thoughts shared herein. One grace Burgis granted her new readers (such as I) is a framework of foundation rooted inside our known historical past! She’s taken bits and bobbles of real historical artifact and knitted it up inside an alternative historical setting to where you can juxtaposition the real and the fictional in seamless fashion! I loved this style of her word craft because it gave a dimensional of awareness of where we’re entreating inside as far as timescape and setting are concerned but also, a knowing level of ‘place’ as it’s a familiar side of Europe during the late 18th Century! How she found the beautiful balance between what is known and what can be imagined is truly remarkable! I liked how she paced the narrative to the rhythm of a play – it was quite keenly illuminating all the dialogue and action, but to such a clever intuitive nodding of each of the characters in turn taking their cues and then exiting the scenes as necessary! I was not at all surprised there were Cosy Horror elements underlining the narrative arc as this historical approach to telling a fantastical story reminded me of my readings of Silver Tongue by AshleyRose Sullivan (review) or even The Haunting of Springett Hall by E.B. Wheeler (review) as they mirror Masks and Shadows for bridging genre and bending it to the will of the author’s pen. Shortly after I posted my review, the publicist I work with at Prometheus mentioned Burgis’s next release and from that first glimpse of the premise, I became interested. I had a feeling there might be the same mixture of old world elements, magical intrigue with thrilling suspense and a historical backdrop (this time set in Vienna) I would appreciate drinking in as I moved through her story-line. She has such a unique voice in Historical Fiction, I simply wanted to read what she was going to create next! I wasn’t surprised that in theory Congress of Secrets follows suit out of Masks and Shadows as you could see the leeway of how the scope of the first novel could be carried forward. Both are marked as one-offs, even though Congress of Secrets is only a scant 35 years later! I’ve learnt a lot about how series can be joined together through theme, setting or genre – and I believe this is one of those series where the characters switch-out but there are elements of connection knitting the series of stories together. They are not continuously sequenced by setting either but rather the way in which the story is told. Notation on Cover Art Design: I was quite surprised when I saw the photographs on the cover were stock images because in this particular instance the collage effect of having them all together gave me the impression they were specifically created for this cover! I love how the fusion of each photograph blends well with the synopsis and grants you a visual clue about where your heading once you open the novel itself. It is such a beautiful cover design – from the colours and the layout of it directly feeling like the niche Burgis has created. Read the author’s blog about Congress of Secrets! Stephanie Burgis was born in Michigan, but now lives in Wales with her husband, writer Patrick Samphire, and their children. Before becoming a fulltime writer, she studied music history as a Fulbright Scholar in Vienna, Austria, and worked as a website editor for a British opera company. She has published over thirty short stories for adults. Kat, Incorrigible (US)/A Most Improper Magick (UK) won the Waverton Good Read Children’s Award in 2011 for Best Début Children’s Novel by a British writer. It was followed by Renegade Magic/A Tangle of Magicks and Stolen Magic/A Reckless Magick. As soon as I saw Caroline being affected by the dark alchemy I recognised having been used in Masks and Shadows, I knew this new extension of the plot would thicken quite differently. It took so long to understand the darker elements which were undermining and crippling the characters in the last story – as the heart of the narrative had been a thrilling suspense, where you were meant to be kept in the dark for as long as possible in order to peel back the layers of the novel. In this instance, what was so interesting to me, is how early-on the disclosure is given that something quite alarmingly potent is being used against the will of the people. Setting the stage for a curious new perspective on how to overturn a foe who has sorted out the best advantage against everyone he or she wishes to overtake; not just mind control but a complete reduction in consciousness! Cover Reveal | A debut novelist via a wicked sweet competition of whom I happily found via Twitter ahead of this Reveal! 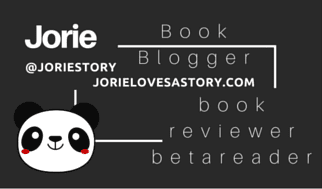 Romantic Suspense intermixed with Alt. Historical Fiction is a *new! * discovery of interest! On my new position as a ChocLit Star member: Whilst I am part of the ChocLit Reviewers having brought reviews & guest author features to Jorie Loves A Story for the past two years, I have recently become a part of the Cover Reveal Team, as disclosed when I hosted the first Reveal on behalf of Sheryl Browne’s ‘Learning to Love’. This new team works with ChocLit providing honest feedback on ‘projects’ such as title & book cover design choices as well projects in development on behalf of the publisher. I accepted being a ChocLit Star as I felt my love of the stories would be a good fit to give in-depth responses to the projects pitched to the Stars. Therefore, when I blogged about the cover for “Revenge is Sweet” it was the first reveal where my input as a ChocLit Star helped the reveal become possible! On 18 June #ChocLitSaturday celebrated ChocLitUK’s 7th Birthday with an open topic of delightful joy wherein ChocLitSaturdayers joined the ChocLiteers for a lively celebratory bash where the convo happily alighted a spirit of joy in our hearts! Ms Stacey dropped in on the chat, too! She was quite keenly excited about her upcoming Reveal for this novel, and I was quite delighted for her in that regard! Seeing your debut go live must be a wicked stellar #awesomesauce moment! Replay the Chat via Nurph! Acquired Book By: I am a reviewer for Prometheus Books and their imprints starting in  as I contacted them through their Edelweiss catalogues and Twitter. I appreciated the diversity of titles across genre and literary explorations – especially focusing on Historical Fiction, Mystery, Science Fiction and Scientific Topics in Non-Fiction. I received a complimentary ARC copy of “Masks and Shadows” direct from the publisher PYR (an imprint of Prometheus Books) in exchange for an honest review. I did not receive compensation for my opinions or thoughts shared herein. 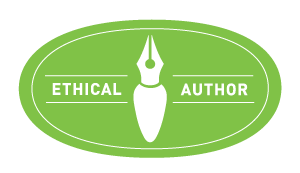 For the fuller story behind my forthcoming reviews on behalf of Prometheus Books, kindly read my story about becoming a reviewer for them on my End of the Year Survey, 2015. I was quite delighted by receiving an email from the publicist I am working with at Prometheus Books, as before I had the proper chance to start my reviews, she instinctively knew how much I love reading Historical Fiction! This title stood out to me for several reasons: it’s the first adult novel by it’s author who has a penchant for writing Middle Grade stories; it’s set during the 18th Century one of my most beloved centuries to explore; there is a Musical Historical backdrop to the evolving story and it’s centred at court! High society and life at Court are two of my favourite historical veins of interest – the court has a way of enlightening you inside a portion of the historical past where innuendo reigned supreme. I have read a few musical driven plots since I’ve become a book blogger and as I enter into my 3rd Year, I’m appreciating being able to re-examine certain styles of stories which I itch to read more of. Notation on Cover Art Design: On display in the cover art are all the key marks of the story: from the ethereal smoke snaking it’s way into view to the masquerade mask(s) and the setting for the folly itself: Eszterháza Palace. The colours themselves lend such an enriched cover palette but it’s the fullness of the cover design to evoke out a recognition of the story’s internal elements that struck me as being quite bang-on brilliant as you can foretell a bit from it’s artwork. The year is 1779, and Carlo Morelli, the most renowned castrato singer in Europe, has been invited as an honored guest to Eszterháza Palace. With Carlo in Prince Nikolaus Esterházy’s carriage, ride a Prussian spy and one of the most notorious alchemists in the Habsburg Empire. Already at Eszterháza is Charlotte von Steinbeck, the very proper sister of Prince Nikolaus’s mistress. Charlotte has retreated to the countryside to mourn her husband’s death. Now, she must overcome the ingrained rules of her society in order to uncover the dangerous secrets lurking within the palace’s golden walls. 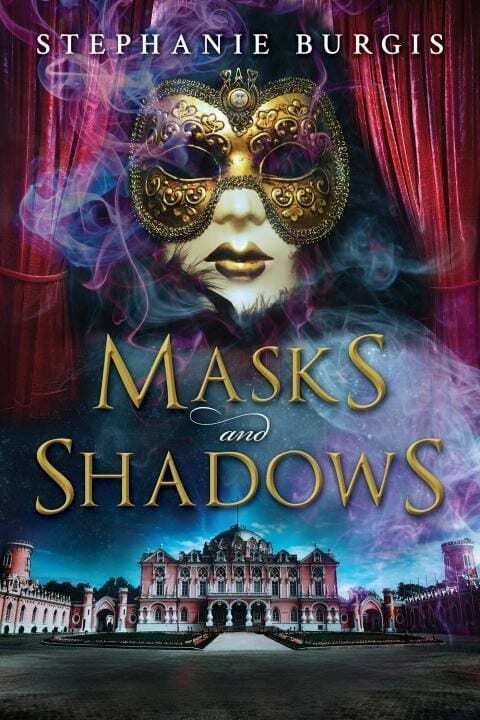 Music, magic, and blackmail mingle in a plot to assassinate the Habsburg Emperor and Empress—a plot that can only be stopped if Carlo and Charlotte can see through the masks worn by everyone they meet. Read the back-story about Masks and Shadows! Read about the author’s next novel Congress of Secrets publishing November 2016!